Hail storms in Australia: Where are the hotspots? 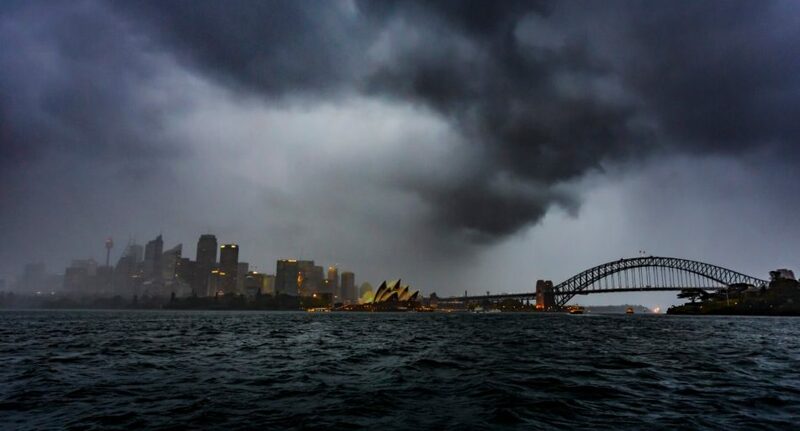 Australia is no stranger to violent hailstorm events. Perhaps the most famous is the one that struck Sydney on 14 April, 1999. Cricket ball-sized hailstones hurtled down from an ominously dark sky, pelting cars, homes and even planes with a powerful onslaught. At the storm’s peak, local emergency services were bombarded with phone calls for help at the rate of one every ten seconds. By the time it was over, 40,000 vehicles and 25 commercial aircraft were damaged and more than 35,000 buildings were either totally destroyed or had major roof damage. When it was over, the damage bill was a whopping $1.7 billion, making it the most expensive natural disaster Australia had ever seen. In March 2010, severe hail events affected Melbourne and Perth, generating insurance losses of $1 billion for each city. Further north, the Brisbane region has had its share of violent hailstorms too, most notably in 1985 and more recently in November 2014. Hail Hero is a software application launched in December of 2011 after two years of research and development. Budget Direct insurance hired a weather specialist who had developed algorithms to track the progress of damaging hail storms, and those algorithms were then developed into the Hail Hero warning system, which is exclusive to Budget Direct. Using radar images to gauge the height and size of ice in a storm cell, the system examines the reflectivity within the different storm levels and then determines (a) if the hail will make it all the way to the ground and (b) if it will be damaging. After identifying the storm’s origination, it then analyses the probability of where that storm will move within a certain time frame. The data can also be verified against Bureau of Meteorology radar images. The aim is to harness current technology in a personalised, cost-effective way that provides a tangible, material benefit to customers. How Hail Hero works is pure simplicity: because Budget Direct records each new policy holder’s address in their system (and therefore its latitude and longitude), this can then be attached to the client’s mobile phone number. Do you live in one of Australia’s Hailstorm Hotspots? Find out now with Budget Direct’s new interactive! This means that when damaging hail is approaching, they can send an SMS warning message to clients, allowing them at least 10 minutes notice to move their vehicles out of danger. The aim is to harness current technology in a personalised, cost-effective way that provides a tangible, material benefit to customers. Paul Malt, Budget Direct’s IT Director, says “Our goal was to give our customers enough time to move their car when damaging hail is approaching. From a safety perspective, we don’t want people moving their car during a hail storm. This is just another example of us implementing clever technology to help our customers. Hail Hero acts as an ‘early warning system’ to give you a little more time to take action to protect your vehicle from the damaging consequences of a heavy hail onslaught. Best of all, this world-first software app is free for any Budget Direct insurance customers, no matter what kind of policy they hold with the company. Since 2012, more than 1.7 million SMS messages have been sent via the innovative and award-winning Hail Hero to Budget Direct customers. These days, you can also check which parts of the country are most prone to hail storms through their handy interactive: Australia’s Hail Hotspots. Just select the state, suburb and storm season year you want (a typical storm season is generally considered to be between 1 October and 31 March). The hotspots graph will then tell you how many storms have occurred during the specified periods. Since 2012, more than 1.7 million SMS messages have been sent via the innovative and award-winning Hail Hero to Budget Direct customers. A quick look at Queensland, for example, will show you that Southport, Surfers Paradise, Upper Coomera and Caboolture have been the Sunshine State’s main hail hotpsots for the past few years. In NSW, Armidale, Port Macquarie and Coffs Harbour are shown to be more hail-prone than areas like Wollongong and Taree.